If you’re looking for used trucks and vans for your Gainesville drive, you can use KBB for Trucks to help you get a financial cushion. Get an instant cash offer, and you can put the offer towards one of these excellent vehicles found at Carriage Mitsubishi. 5.4L V8 Engine: This powerful engine gives you 310 hp at 5,000 rpm along with a towing capacity of 8,100 pounds. That’s plenty for your daily hauling needs. Traction Control: This system monitors your front and rear wheels for optimum traction. As needed, it adjust power delivery for a more confident drive. AdvanceTrac With Roll Stability Control: Improve your stability in snow, gravel, ice, and dry pavement. The system gives you more responsive handling and stopping power. Power Steering: When you have to make sharp turns, your power steering system helps make turning smooth and easy no matter the speed of your F-150. 5.3L V8 Engine: With this V8 engine, you get 355 hp at 5600 rpm and your max towing capacity sits at 6,000 pounds. Solar Absorbing Glass: Protect yourself and your passengers from excess UV rays and heat with specially formulated glass that absorbs the suns rays. Handling and Trailering Suspension Package: If you’re planning on pulling your haul with this Chevy, take advantage of this package that’ll make your driving experience a breeze. Electric Power Steering: Whether you’re in a parking lot or taking a fast turn, this steering system knows how to adjust for precise steering. 3.6L V6 Engine: This V6 engine affords you 283 hp, and you can expect your Town & Country to haul up to 3,600 pounds, which makes this van perfect for family road trips. 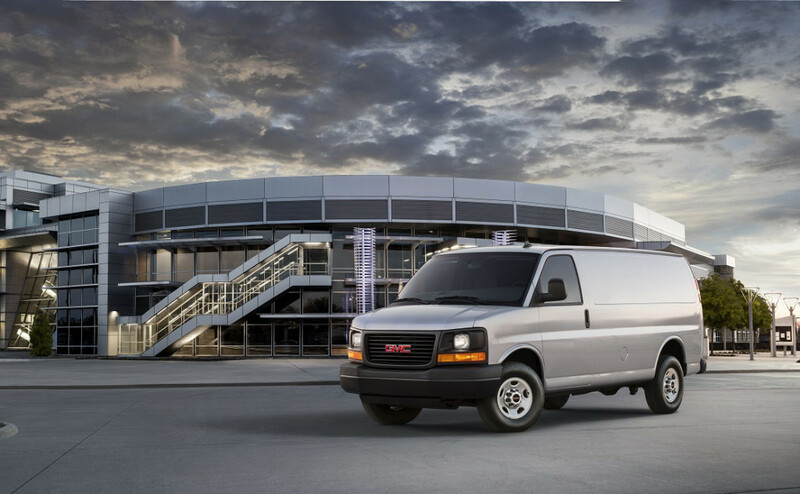 Flex-Fuel Capacity: This van is capable of handling a gas and ethanol fuel blend. Take your pick of fuels and get the most bang for your buck when it comes to mileage. Towing With Trailer Sway Control: When you press the brakes with your trailer in tow, this system will ensure seamless braking and minimal trailer sway. Entertainment System: Give your rear passengers a way to entertain themselves with a DVD and Digital Media system. 5.0L V8 Engine: This powerful engine gives you 360 hp at 5,000 rpm and 380 lb-ft of torque at 4,250 rpm. It has 5800 towing capacity. SOS Post Crash Alert System: If an airbag deploys due to a collision, this system engages the hazards lights and starts beeping the horn to alert others. Stability Control: Keep all four wheels safely on the road with this system, which constantly monitors power delivery to your wheels. Hill Start Assist: When you switch from the brake to the gas pedal, this system will keep your F-150 in place so you don’t roll backwards unexpectedly. 4.8L V8 Engine: Enjoy 280 hp at 5200 rpm and 295 lb-ft of torque at 4600 rpm from this V8 engine. Gross Weight Capacity: This large work vehicle is built for a muscle job, which is why it can handle up to 10,000 pounds in gross vehicle weight rating. Solar Treated Glass: When the sun is shining, the cab stays cool thanks to solar treated glass. Defogger: The side windows include a defogger to make those morning drives and deliveries more manageable. Are you ready for your KBB for Trucks trade-in offer? Come on down to Carriage Mitsubishi located at 2350 Browns Bridge Road, and we’ll help you put your rebate towards a quality used van or truck. If you have any questions or want to make an appointment, give us a call at 678-932-1710 or fill out our contact form.